Something to Muse About: “White Collar” The Con-plete Collection & The Complete Sixth Season Arrive on DVD May 5! 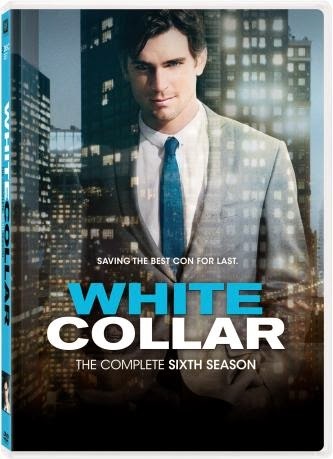 “White Collar” The Con-plete Collection & The Complete Sixth Season Arrive on DVD May 5! Catch all six seasons of one of the most seductive crime dramas to hit the small screen. In exchange for a reduced prison sentence, charming high-stakes thief Neal Caffrey (Golden Globe® Winner Matt Bomer*) forms an unlikely partnership with FBI Agent Peter Burke (Tim DeKay) to help catch other criminals. As Neal and Peter infiltrate deadly crime rings and face off against some of the world’s most dangerous masterminds, they also walk a thin line between trust and betrayal with each other. Also starring Tiffani Thiessen and Willie Garson, “White Collar” is a slick, witty, engaging series filled with plot twists and cliff-hangers – culminating in a finale that will leave you breathless!